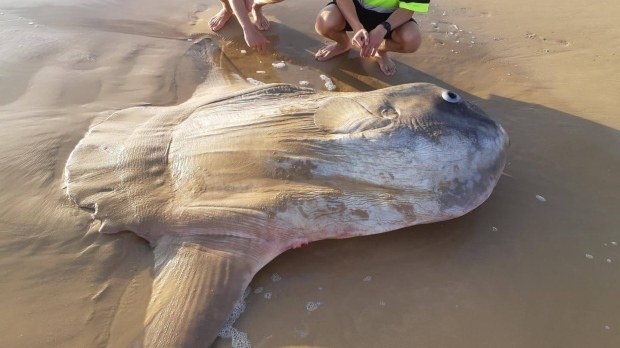 Photos of a giant sunfish washing up on a south Australian beach are going viral, after being snapped by a longtime fisherman. 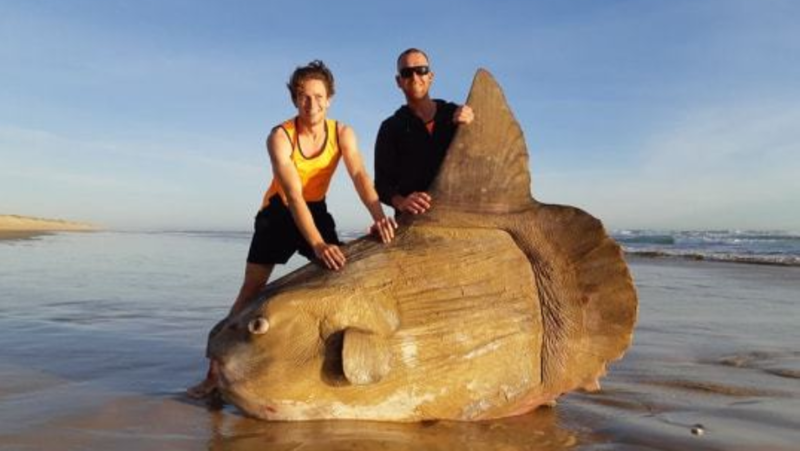 The 1.8-metre-long specimen had a massive dorsal fin, rough skin and didn’t appear to be a creature at all. Jones and his colleague spotted the sunfish as they were driving along the beach at Australia’s Coorong National Park on Saturday. Ocean sunfish are one of the heaviest bony fish species on Earth and are regularly found in temperate marine waters, according to the Fishes of Australia database. They typically have a large head, long dorsal fin and a disproportionately small mouth. But Grzelak admits she’d never before seen or heard of a sunfish, who are also called Mola mola. 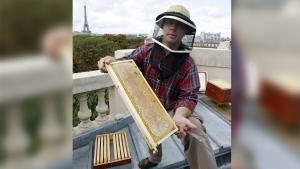 “When he sent me the photo, I didn’t even think it was real. It looked fake,” she said. Grzelak explained that most people likely would have missed the fish, as the beach which Jones works on is only accessible by boat and is mainly used by the those in the fisheries industry. The park’s post also explained, “these huge beauties … can weigh more than a car.” Because of the sunfish’s dorsal fin, the creature is sometimes mistaken for a shark, when it swims close to the shore. Although Grzelak’s photos have circulating in several different places, the photo set on National Parks South Australia been shared 296 times on Facebook, with more than 700 people reacting to them online.